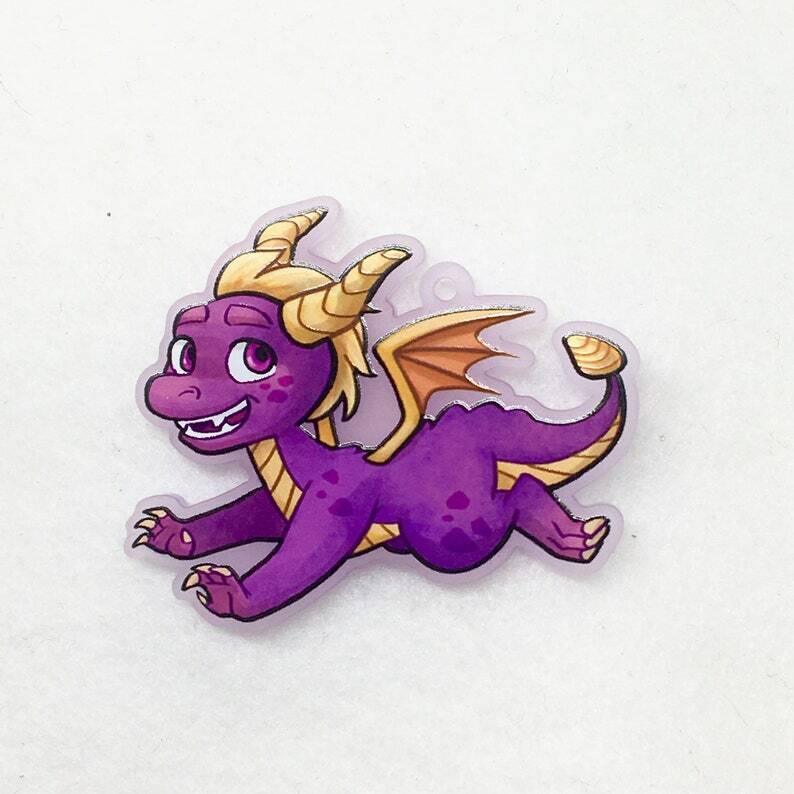 Spyro the dragon has been in numerous video games over the years and holds beautiful nostalgia for gamers! You can bring him and his big grin around with you on your keys, phone, zipper pull, or wherever you want to hang this little delight! The charm is approximately 2” at its widest point (not including keychain itself). The acrylic is clear and the keychain attachment will be a white phone strap. Regular keychain attachment is possible if you order before May 15th.